DENVER, Auraria Campus — The Denver Broncos playoff elimination prompts disinterested fans to find different ways to spend Super Bowl 2015. Students at the Denver Auraria Campus remain indifferent about the two teams headed to the Super Bowl, the Seattle Seahawks and the New England Patriots. Maysa Arbab was not aware that the Broncos did not make it into the Super Bowl this year. Although she originally said she would be rooting for the Broncos this Sunday, Arbab reluctantly chose the Seahawks as the team most likely to win. Selena Estrada is a fellow Broncos’ fan who plans to watch the game despite her team’s absence. Estrada will spend this year’s game focused on the sport itself as well as the commercials. Her favorite advertisement last year was the Doritos goat commercial, and hopefully this year’s lineup can compare. Helen Grenillo’s only interest in Super Bowl 2015 is financial gain. An admitted Broncos fan, Grenillo has decided not to bet on which team will win, but rather the scores of the game. She explained the rules of her wager as first choosing a number. Then she would add the last digit of each team’s score together, and if the combined number matches her original choice, she would win all the money in the pot. It seems Denver’s fan are able to find interest in other aspects of the game. Perhaps this will distract from the sting of not watching the Broncos compete in Super Bowl 2015. As the Super Bowl approaches, two students share some insight on the big day. 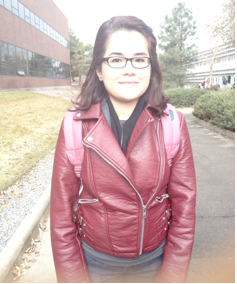 Auraria student Kristina Martinez says she is not planning to watch the game due to other plans. Being a Broncos fan, she is not rooting for neither the Seattle Seahawks nor the New England Patriots. Martinez has heard of the current “deflate-gate” scandal and gave her opinions on how it could affect Sunday’s event. Martinez says it won’t impact the game but ball regulations in the NFL should be tightened overall not just for this Super Bowl. Another student, Cindy Villegas, is also not planning to watch the game; football is not one of her personal interests. As a Denver native, Villegas is not rooting for either team this Sunday. She has heard about the ball scandal but does not know the details surrounding this issue. DENVER, Auraria Campus — The Broncos may be out for the season; however, the people of Denver have their own plans to finalize the term. In Denver, many college students are disappointed in their home team for not making it to the next round of the Super Bowl. Beyond all this disappointment, some students still have an interest in watching the Super Bowl, while others could care less. Football is not for everyone, but when it is, having your home team compete is the cherry on top of a great season, but even though the Broncos are out, the passion for the game is still infused in the fans. 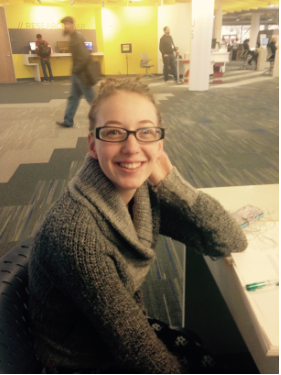 Taylor Hensel, a Journalism major on the Auraria Campus, will be watching the Super Bowl, rooting for the Seahawks. Although, they destroyed the Broncos last season, she admits that this year, “It’s going to be a good game.” She is unsure who is going to win. Even though fans are abuzz with the chaotic time that is the Super Bowl, there are still many people whose football season ended when their team did not make it to the next round. 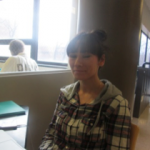 Another Auraria student Jenica Miller will not be watching the Super Bowl due to her devotion to the Broncos. She would rather be doing homework or driving to Colorado Springs than watching the game. Both the Seahawks and Patriots have put forth a great effort, that many people are unsure which team is going to win. Analysts are trying to figure out if the New England Patriots have what it takes to win a fourth Lombardi Trophy, or if star quarterback Russell Wilson and the Seahawks will have what it takes to defend their title. DENVER, Auraria Campus — Auraria student Mason Swanson sat quietly the Central classroom wearing a Bronco’s hat — the perfect candidate to interview about the big game this Sunday. Swanson will be watching the Super Bowl for the actual game itself and not the commercials. “I hate both teams,” he said. Being a Broncos fan, Swanson was outraged by the fact that the Seahawks were in the Super Bowl once again, and does not like Peyton Manning’s rival, Tom Brady. However, he would like to keep the championship in the AFC and predicted that the Patriots would win a close game with a score of 28-21. Swanson also guaranteed that the Patriots QB will win MVP if New England does in fact win the game. He thinks that the whole “deflate gate” scandal surrounding the patriots will not play a role in the outcome of the game. MSU Denver students have mixed anticipation about Super Bowl XLIX. The annual championship game features the Seattle Seahawks and the New England Patriots. 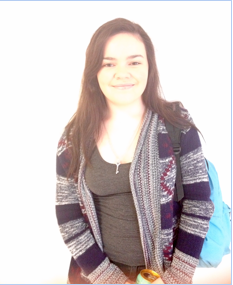 Other students, like Seattle native Kristina Ryan, are excited for the upcoming game and controversies. Lynch, a running back for the Seattle Seahawks, is known for his reluctance to interact with the media. Lynch has been fined multiple times for refusing to speak with the media. When he does speak with the media, his responses are minimal. “I think he has social anxiety,” said Ryan. “Deflate gate” is another controversy associated with Super Bowl XLIX. The New England Patriots have been accused of letting air out of the footballs to gain a stronger grip. “With “deflate gate,” it’s not right. They should have done a larger investigation,” said Ryan. Despite current events with “deflate gate,” the conclusion of the football season for both teams will depend on the outcome of the game. This year’s match boils down to more of the “Big Lame” for some fans. Hernanadez didn’t skip a beat about her stance about the current controversy. “The Patriots are good and people are making up any excuse they can, but it is definitely sketchy.” Either way her family will come together as they have done her whole life, and spend the day watching the game to see who will walk away with the famed “Vince Lombardi Trophy, and as a diehard Broncos fan she will be rooting for the Seattle Seahawks, but only for the day. 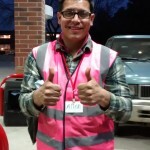 Across campus James Harris, a freshman at Metropolitan State University of Denver, gave some interesting insights into Super Bowl Sunday and “deflate-gate.” Harris is not sure if he will even watch the Super Bowl because he may have to work at King Soopers. As far as “deflate-gate” is concerned, Harris feels that in the future the NFL will do everything in their power to ensure that the footballs are properly inflated. The weather for the Super Bowl will not be factor because the game will be played inside a dome. Harris, who is a big New Orleans Saints fan, will be pulling for the New England Patriots on Sunday’s big finale to the NFL football season. Harris said, “as long as Seattle loses I don’t care. It is what it is.” Harris has been a big football fan every since he was 8-years- old. In high school Harris played football, basketball and ran track for his high school. As for the game on Sunday, Martinez would prefer if he could get all of his friends together, but feels that people are not as excited because the Denver Broncos did not make it to the Super Bowl this year. Martinez will be rooting for the Seattle Seahawks because they were found to be cheating in other games. Martinez has rooted for the Patriots in other Super Bowls, but “Spygate” caused Martinez to change his opinion of the team. 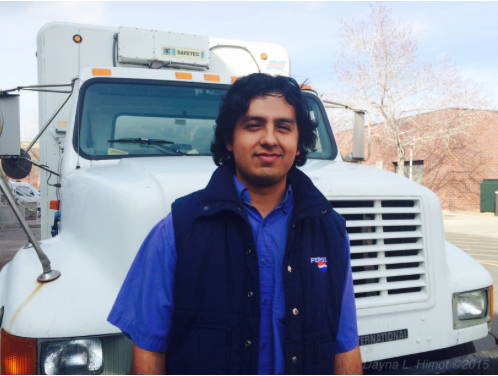 Martinez has worked as a Pepsi delivery truck driver for 11 years. He played High school football in Alamosa, Colo. Martinez gets most of his sports news from the radio on station 104.3 The Fan. DENVER, Auraria Campus — Jed Larson, 25, a Metro freshman recently moved from Israel and has no interest in American football, let alone watching the big game this weekend. Larson has heard about the deflate-gate scandal and feels passionately that New England deserves to lose because they cheated. Erin Doyle, 19, a sophomore from UCD, says she will only be watching the game with her family as background noise. Since the Broncos aren’t in it this year Doyle has no interest in who wins. “Eleven of the 12 balls were deflated,” Doyle said in response to the deflate-gate scandal knowing exactly what happened. Jamison Griffith, 24, a junior at UCD, plans on going cross-country skiing during the Super Bowl to avoid crowds. “I like the Broncos,” says Griffith about having no interest in who wins. Griffith believes the media coverage of deflate-gate is interesting and is just a way to promote the game in Phoenix this Sunday. 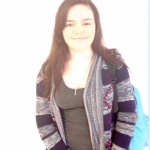 DENVER, Auraria Campus – Students on the Auraria campus shared their thoughts about this year’s Super Bowl. While some students on the Auraria campus will be partaking in other activities, while others will be watching, but will be unresponsive to the final outcome. Jed Larson, 25 and a freshman at Metropolitan State University of Denver does not typically keep up with football, but plans to watch the Super Bowl if he gets invited to a party. Although Larson does not keep up with football, he thinks the New England Patriots should stand down. 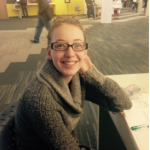 Erin Doyle, 19 and a sophomore at the University of Colorado at Denver, majoring in music and business will be watching the Super Bowl with her family, but does not follow football. “I got asked to sign a petition to kick out the Patriots,” Doyle said. “Like 50,000 people signed.” Doyle did not sign the petition. DENVER, Auraria Campus — Denver Broncos did not make it to the Super Bowl XLIX. There were upsets in the Mile- High City after the recent loss to Indiana in the Championship games. Football is not on the minds of these two students, who both attend Metropolitan State University of Denver. 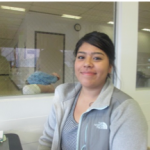 Angela Delagraza, is a student attending classes on the Auraria campus. Delagraza, says “I have no plans to watch the game.” Delagraza will be either busy with homework or her studies, or going to the gym. “I enjoy playing sports, but sitting down and watching television is a low priority,” she said. 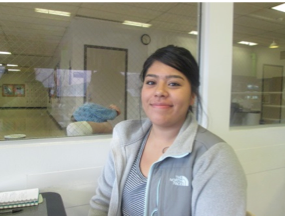 Delagraza is graduating this May, and is very busy with her studies and preparation for graduation. 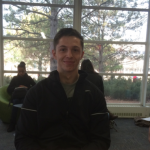 Evan Dalies, who also attends classes on Auraria, does not have time for the Super Bowl. Dalies said that he will not be watching the big game. “I am not that fond of football,” he said. 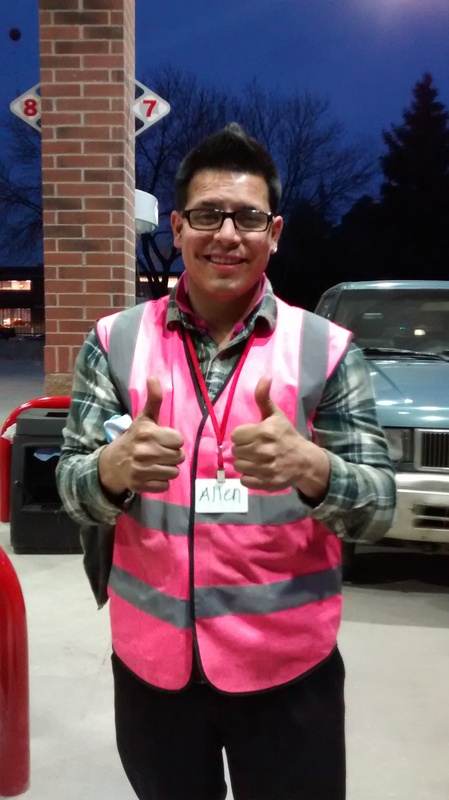 Dalies prefers to play video games and is busy with his studies this Spring semester. Possibly the absence of Orange and Blue, did create for a lack luster Super Bowl this year in Denver. Did the embarrassing performance the previous year at the Super Bowl, create a wave of soccer fans here in Denver instead? Maybe everyone is only excited about the stellar half time shows, and to see if anyone else has a wardrobe malfunction. One thing is for sure; these two students have better things to do instead of watching the big game. DENVER, Auraria Campus — The Seattle Seahawks are favored to win in the controversial match up against the New England Patriots for this year’s Super Bowl. Chris Mickeletto, a Tampa Bay Buccaneers fan, originally from Florida, said he stopped paying attention to the playoffs after the Broncos went out, so he was not aware of the deflate-gate controversy. Despite that, Mickeletto also wants the Seahawks to win. “Pretty boy Tom has had enough,” he said. The Seahawks are favored to win both in spite and despite the Patriots deflate-gate controversy. 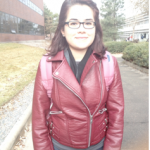 As the 2015 Super Bowl approaches, Auraria campus students share their thoughts on the matter. 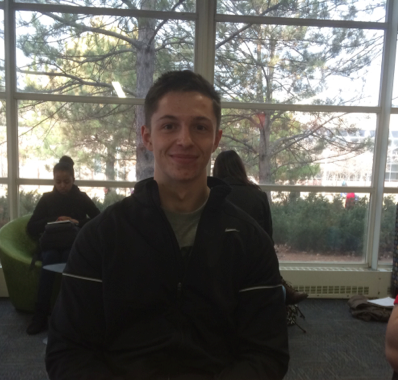 DENVER, Auraria Campus — UCD student, Matt Pohlen, will undoubtedly be watching the Super Bowl Sunday, Feb. 1 2015. Pohlen, 21, is a recording artist major, or simply put a sound engineer. He watches the Super Bowl every year, but more importantly follows the Denver Broncos within every season and every game. He is, what you would call, a true Broncos fan. Pohlen also enjoys watching the commercials, and says he will be attending a party to celebrate the face-off between the New England Patriots and the Seattle Seahawks. Pohlen himself played football while attending Castle View High School in Castle Rock, until his graduation in 2011. For now, he will have to content himself with his job at the Auraria Library, while waiting for Sunday to come. Suni James, on the other hand, is not a big football fan. In fact, she says that even if she didn’t have to attend a work-related meeting on Sunday, she would still not watch the game. The only sport James takes an interest in is baseball. She would much rather spend her Sunday afternoon with her head buried in a book. Was the “deflate-gate” floodgate opened too soon? DENVER, Auraria Campus — A national community is in crisis over the New England Patriots’ eligibility for Super Bowl XLIX. The football team routed the Indianapolis Colts 45-7 with 11 allegedly nonregulation footballs provided by the Patriots organization of the 12 required of it, and fans of the sport have turned the win into a scandal. Not everyone takes it so seriously. Auraria student Brendan Andrea doesn’t watch any TV but still says, “There’s rules you should probably follow.” Rules are what makes a game a game, but does “deflate-gate” constitute an actual violation of the rules? The NFL rulebook says that each team must provide 12 balls inflated to a pressure of 12 ½ to 13 ½ pounds and “the Referee shall be the sole judge as to whether all balls offered for play comply with these specifications… and the balls shall remain under the supervision of the Referee until they are delivered to the ball attendant just prior to the start of the game.” The NFL’s officiating chief, Dean Blandino officially said the game’s referee, Walt Anderson, did his inspection properly. The potential rule violation may have to do with the way the rule is written. The range reasonably wide, and the referees may have to decide on an individual basis which balls are inflated enough for play. Anderson has been refereeing in the NFL since 2003 and officiating playoff games every season since 2006, so whatever decision he made on the Patriots’ footballs it was informed by almost a decade of experience. If the balls were intentionally underinflated by the Patriots, it wasn’t by enough for a veteran referee to take notice or it was, and there’s some sort of corruption scandal which is outside of the main public focus. Chair of Political Science at Metropolitan State University of Denver Robert Hazan asks the question: Did the Patriots actually cheat or were they playing cleverly? If the balls were intentionally deflated, they were inflated enough to be playable in the mind of an experienced official. If other teams don’t experiment within the parameters of the NFL rulebook, is it right to prevent teams who want to from doing so? This is an especially pertinent question because the NFL allows teams to play with balls of their choosing, so teams are technically allowed to customize their footballs within given specifications, which is what seems to have happened throughout that controversial game. More importantly, the AFC championship game was played in cold, wet conditions that might have affected the balls beyond anyone’s will. The Patriots might be responsible. If they are, they may not be at fault. Literally no human being might be responsible. When the NFL completes an investigation, sports fans will be able to conclusively make the judgments that are already being made, but the NFL internally has to decide to what role equipment plays in the sport. Until then, the Patriots still get a chance at the Super Bowl featuring increased ball security. DENVER, Auraria Campus — Scandal has rocked the National Football League in the weeks leading up to the Super Bowl, and the league’s handling of the case has spurred wide-ranging opinions, as well as a few shared sentiments among fans of the game. On Jan 18, the New England Patriots defeated the Indianapolis Colts in Foxborough, Mass. during the AFC championship game. The following week, allegations of deflated footballs spread like wildfire, and speculation that the Patriots had intentionally cheated became fodder for not only the sports media, but also countless pundits and popular media personalities alike. Although the NFL has pledged to investigate the incident fully, their timeline for doing so is not clear. Even less clear are the possible repercussions that the Patriots organization could face if found to be in violation of league’s strict regulations. The incident, which has become known as deflate-gate, has remained at the center of national media attention. Deflate-gate has even made its way into the lexicon of popular culture, with a parody news conference making its way to the sketch comedy program Saturday Night Live. In the midst of the deflate-gate media phenomenon, football fans have developed wide-ranging opinions about the incident itself, as well as opinions about its broader cultural significance. Patrick Quinn, a student at Metropolitan State University of Denver, says that the incident itself doesn’t surprise him, especially considering that the Patriots have been accused of violating league regulations before. When deflate-gate and the league’s milquetoast reaction to the incident are added to the domestic abuse and child abuse scandals from earlier in the season, it’s no wonder that the NFL isn’t seen as a trustworthy organization anymore, says Quinn. 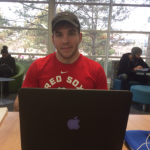 Another student at MSU Denver, John Ignatius, echoes the sentiment that cheating is unnecessary for a team as accomplished as the Patriots, but he also wonders about how the Super Bowl, the NFL’s signature event, will be affected by the scandal. There’s no way the Super Bowl won’t be tainted in some way,” Ignatius says. Even if the league decides to punish the Patriots before the big game, it’s probably just going to be a fine. There’s little chance that the outcome of the AFC championship game will be changed or nullified, he says. In spite of the range of opinions that football fans have espoused since DeflateGate took over the national spotlight, there is one thing on which they can all seem to agree. Chris Mickeletto, a Tampa Bay Buccaneers fan, originally from Florida, said he stopped paying attention to the play offs after the Broncos went out so he was not aware of the Deflate-gate controversy. Despite that, Mickeletto also wants the Seahawks to win “Pretty boy Tom has had enough,” he said. DENVER, Auraria Campus — The NFL Super Bowl has been one of the most observed events in the United States since the famous coach Vince Lombardi and his Green Bay Packers won the first one in 1967. Fast forward to 2015 and the game is even bigger than ever. In last year’s Super Bowl featuring the Seattle Seahawks and the Denver Broncos, there was more than 80,000 in attendance and over 111.5 million spectators watching from their TV’s, making it the most-viewed event in US history. Now if you’ve been in Denver lately, bringing up that specific game may not be such a great idea. Since the 1970’s Orange Crush Defense and the Tom Jackson era, to Elway and his two rings he brought to the Mile High city in the 1990’s, the Broncos have been Denver’s most beloved team. But if you ask a Denverite what they think about this year’s big game highlighting the reining champ Seattle Seahawks and the New England Patriots, you’ll most likely get a dissimilar response, undoubtedly because of the abysmal performance put on by Denver. Vigil is only one of many locals who said they aren’t just going to watch the game, but even know whose playing in it. Steve Mcwhirter, a Denver resident did just that when he said, “I’m not sure who is playing except for the Seahawks,” but by his detached expression he didn’t seem to care. DENVER, Auraria Campus — Among many people, football is a staple of entertainment, but for others, it takes a backseat to other hobbies and passions. Melissa Escalante, 21, an Education major from Community College of Denver, is not a fan of football. Instead, when she’s not in school, she spends much of her time with her God-daughter, Isabella. 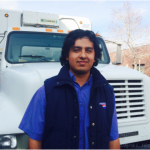 Gustavo Quesada, a 30-year-old Aviation Technology major at Metropolitan State University of Denver, does not enjoy football either, and he would rather spend his free time playing soccer, playing guitar, listening to music, or mountain biking, although mountain biking is his favorite. However, mountain biking is not something he is able to do much of currently due to the cold weather, but he does enjoy it in the summer. “In summer, I go three times a week,” Quesada says. Even though football is considered popular, many students enjoy other hobbies instead in their spare time and are just as passionate about them as their sports-loving counterparts. DENVER, Auraria Campus — This upcoming weekend plays host to one of the largest sporting events in the world. Super Bowl XLIV takes place Sunday in Phoenix in which the New England Patriots face off with the Seattle Seahawks. Like many Waters feels the deflate-gate was, “blown out of proportion,” and that people need to move on. Waters does think that the Patriots should be punished if the allegations prove to be true, “something should happens,” he said. Even with the deflate-gate scandal, the Super Bowl will undoubtedly be one of the most watched supporting events in the world. Team demeanor is a big factor towards whom Auraria Campus students are rooting for in the 2015 Super Bowl with the Sea Hawks vs. the Patriots. DENVER, Auraria Campus — With the Broncos 24-13 loss against the Indianapolis Colts in the NFL playoffs, Auraria campus students are looking for a new team to cheer on in the 2015 Super Bowl. Team demeanor has become a big deciding factor as students are heated up over the deflate-gate matter regarding the Patriots and the Seahawks controversial post-game interview with outspoken Cornerback Richard Sherman. “I’m rooting for the Seahawks, mainly because they have better skills and because the patriots cheated their way [to the Super Bowl]”, said MSUD Freshman Anthony Tyrrell-ead. The NFL is conducting an investigation into the Patriots using deflated footballs during the AFC Championship football game against the Colts. “I’ve heard that the NFL investigation is pointing toward an attendant moving the balls out of the locker room,” said Auraria student Adam Hamm. 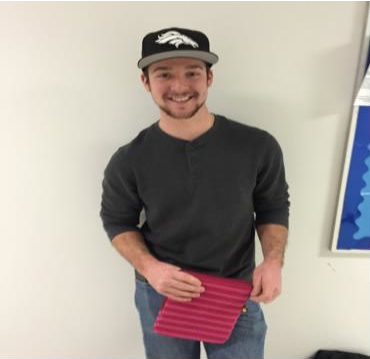 “The Patriots ball boy let air out of 11 footballs,” said Auraria student Tyler Lapierre. “I don’t think [the deflate-gate] is true.” — Cameron Nikmanesh. According to the NFL rulebook, footballs must be at a minimum of 12.5 pounds per square inch and 11 out of the 12 balls used by the Patriots were roughly two pounds under. “The Patriots deflated their balls as a way of getting an edge. It was wrong of them to do that. If they have the skills to get to the Super Bowl, why did they need to do that?” said Tyrrell-ead. Deflating a football can make it easier to grip and catch because the ball will be softer and not as bouncy. Since each team uses their own footballs, this would give that team an advantage. “I don’t think [the deflate-gate] is true. It’s just a way to get attention, said another Auraria student Cameron Nikmanesh. Some students aren’t worried about the deflate-gate as they are more focused on the Seahawks recent team conduct and the Richard Sherman controversy. “Richard Sherman is a pompous A**,” said Hamm as he shook his head in disgust. “The Patriots ball boy let air out of 11 footballs.” — Tyler Lapierre. Some students have disliked how the Seahawks have conducted themselves after winning a game. “I’m rooting for the Patriots because I don’t like the Seahawks team demeanor or how they carry themselves after a game,” Hamm said. This year Auraria students are putting the Super Bowl commercials on the backburner as they are looking forward to rooting for their chosen team. DENVER, Auraria Campus — If you’re a Denver native, there is a chance that it could be difficult to cheer for the two teams competing in this year’s Super Bowl. Auraria student Kyle Konishi seemed nonchalant about the most anticipated football game of the year. A Broncos fan himself, he isn’t too excited for either the Patriots or the Seahawks. “I’m going to watch just because it’s the big thing happening,” Konishi says. The hopeful winner on Sunday declared by Konishi: not Seattle, again. DENVER, Auraria Campus — The 2015 Super Bowl is fast approaching and many students at Metropolitan State are beginning to witness the tensions being raised between the Patriots and Seahawks rivalry. Whether the majority of the student body at Metro is interested in the big game or not, one thing is evident, most are familiar with the deflate-gate accusations directed at the Patriots. John Waide a former Front Range Community College graduate is planning on watching the game along with rooting for the Seahawks to take the win. 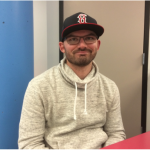 There are several students like Waide who share a similar distaste for the Patriots and the deflate-gate accusations that are unfortunately prevalent encompassing the upcoming game. However, there are just as many people around campus who have a strong opinion surrounding other elements of the 2015 Super Bowl. While the Denver Broncos may not have achieved an anticipated victory for a spot in the Super Bowl, many students are still keeping updated with all of the news between the two teams that are competing. 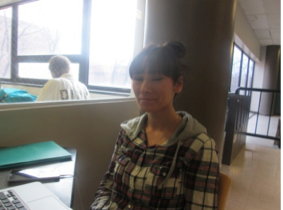 “When I saw the interview with Tom Brady and the answers he gave with the deflate-gate stuff, I thought he was so unprofessional,” said Hannah Bogale, a 22 year old junior at Metro. “I swear he must’ve said he didn’t want to go into it or talk about it at least 10 or 20 times. It was obvious he wasn’t taking the interview seriously.” Bogale added she has no interest of watching the game, because of the nonsense that has resulted from the news coverage of both teams. In addition to the Broncos not playing the Super Bowl this year, the deflate-gate conspiracies, and the constant feuding between Seahawks and Patriots fans, it’s a safe bet that tensions will most likely remain at a high for a majority of NFL fans at Metro State until the Super Bowl draws to a close. DENVER, Auraria Campus — Underneath all the hoopla surrounding “deflate-gate,” it’s easy to forget that there is, in fact, still a game going on. Despite the controversy, Tom Brady and the New England Patriots are set to do battle with the Seattle Seahawks this Sunday, and early indications suggest the Patriots are favorites to win. 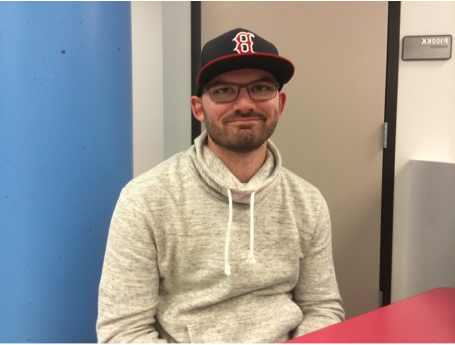 “You can’t bet against Belichick,” said Joel Meyer, a student on Auraria campus. Meyer went onto admit that, while being a Seattle fan, the Patriots were more likely to win. While Meyer may not be rooting for New England this Sunday, he was adamant in his apathy towards deflate-gate. While firm in his beliefs, McKinley still plans to watch the game at a friend’s house, and will be rooting for New England. While, this year’s Super Bowl has been overshadowed by the subtext of both the deflate-gate scandal and the Aaron Hernandez trial, it appears that will not stop people tuning in this Sunday. It certainly is not stopping McKinley or Meyer. DENVER, Auraria Campus — School is just starting back up at Metro State University but for some students school won’t start for them until after Feb. 1. This Sunday the New England Patriots will take on the Seattle Seahawks in the 49th Super Bowl and the campus is torn 50/50 about who they think will win. 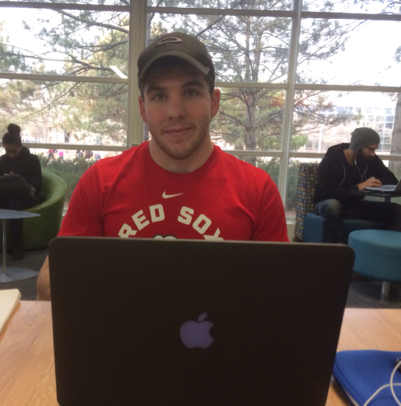 Despite the Seahawks having superstar running back Marshawn Lynch and ace quarterback Russell Wilson stacked against the Patriots,’ running backs Jonas Gray and Shane Vareem, Auraria student Ysier Copland strongly believes that the Patriots will prevent the Seahawks from becoming the 8th team to win back-to-back Super Bowls. “Tom Brady, Tom Brady, Tom Brady. He’s a winner,” Copland said. The Patriots have recently been under scrutiny after they deflated as many as 24 footballs in the divisional play-off game against the Baltimore Ravens, which improved the grip of the footballs. Many NFL fans were outraged and demanded repercussions. However, MSU student Max Rogers-Jackson couldn’t disagree more. “It was a fair and square game,” Jackson said. What’s bending the rules if you don’t get caught? “We do what we’ve got to do to win,” Copland said. Despite all the uncertainty associated with the Patriots’ recent scandal this season, one thing is clear; the Seahawks are going to give the Patriots a run for their money and should they prove themselves, will become only the 8th team in Super Bowl history to boast to consecutive championships.